Money due from tenants or clients. 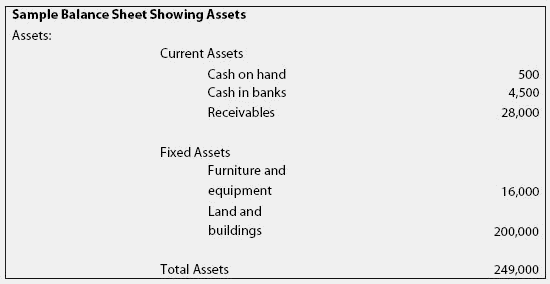 Receivables are listed as an asset on the balance sheet. One can have a profit on paper, because all the rent charged to tenants counts as income, whether collected or not.One can also have a large amount of assets and be worth a lot of money, on paper, because unpaid rents—receivables—are listed as an asset. At the same time everything looks rosy on paper, you can be going broke because tenants are not paying their rent, you don't have any hope of ever collecting the past-due receivables,and there is no money to pay the bills. Receivables Advisors will work independently in each state to connect eligible Sellers to The Receivables Exchange to help them tap into the $20 billion of liquidity available on the Exchange's centralized marketplace for receivables financing. In securitization, the manufacturer sells receivables into a securitization conduit. Capitalization would be required for the integration costs if they added life or value to the newly acquired receivables or adapted them to a new or different use. Key to landing a factoring deal is the age of the accounts receivables. The Receivables Exchange's patent-pending, proprietary online trading platform brings together America's growth-oriented small and mid-sized businesses in search of capital to help them grow with a global network of accredited Buyers. Service providers should consider the use of the nonaccrual experience method to avoid accruing income from accounts receivable estimated to be uncollectible. Receivables' delinquency and default are the more familiar risks, as is dilution (an unconditional "put" of the receivable back to the originator). Securitization agreements may contain certain "removal of accounts" provisions that give a transferor the right to periodically designate credit card accounts (and the related receivables) for removal from the pool of receivables securitized, assuming that certain conditions have been satisfied. The Receivables Exchange will help expand the market for the accounts receivables financing industry by educating small and mid-sized businesses about the benefits of receivables financing. With the final regulations in place, cash-basis taxpayers with zero-basis receivables contemplating converting to S status are advised to accrue compensation for those who performed the services that generated the receivables and actually pay it within 2 1/2 months of the conversion. Factoring export receivables also generates a domestic receivable. The originators of the receivables include CDF, GECC, Brunswick Acceptance Company, LLC (BAC), Polaris Acceptance (PA), and other originators from time to time (all collectively referred to as the Originators).